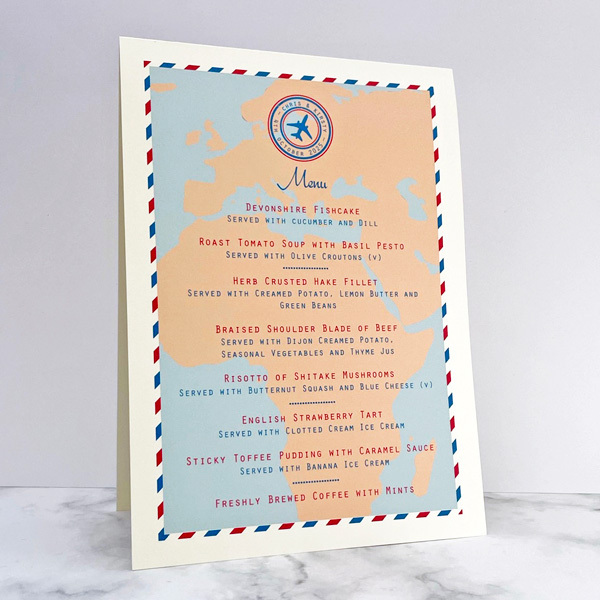 A travel themed wedding menu in The Leaf Press Travel Ticket design, which can be placed on wedding reception tables. Both styles of these Travel Ticket wedding reception menus are made from high quality 300 gsm card in white or ivory, with a smooth or textured finish. 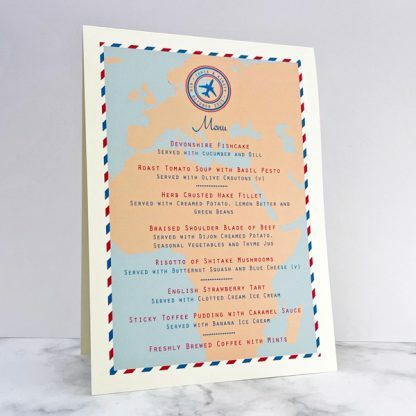 The design is printed using pigment ink, which is splash proof – so your menus should cope with a splash from a drink. 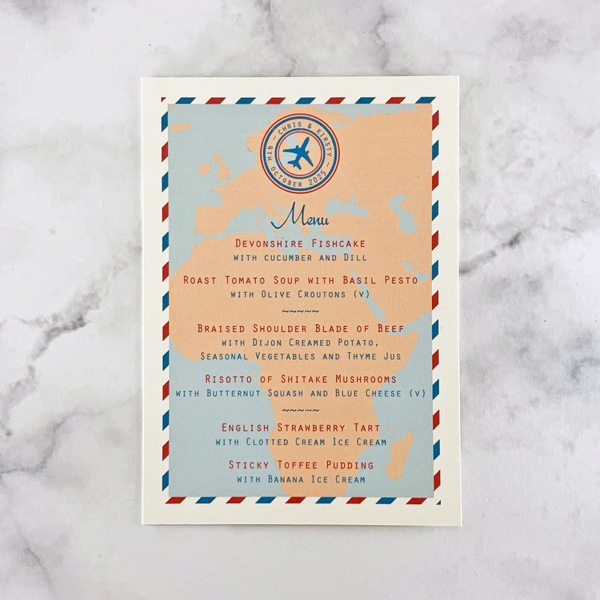 The Travel Ticket design has a colour scheme based on any two colours. 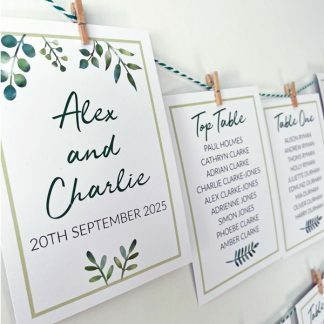 Colours can be chosen from the wedding colour chart. 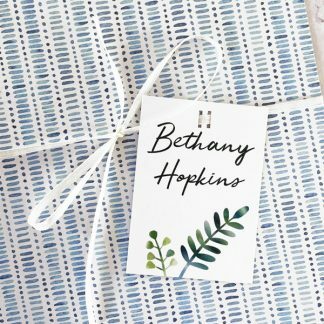 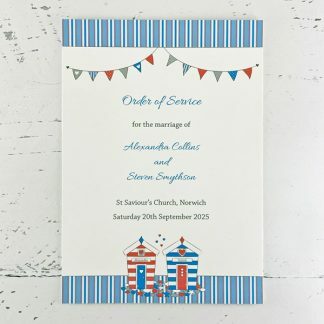 I will send a jpeg proof of your Travel Ticket travele themed wedding menu prior to printing, so you can check the design and colours are as you’d like them to be.